Q What has been the effect of the Progressive Wage Model? A Income inequality and wage stagnation are serious concerns among low-income workers throughout the world. Singapore is no exception. Various politicians and scholars have advocated a national minimum wage to tackle the problem. However, the Government in Singapore has roundly rejected a minimum wage in favour of the Progressive Wage Model (PWM). The PWM is a productivity-based wage ladder that stipulates wage increments and corresponding training requirements at different levels of skill and responsibility. It is made mandatory for Singapore citizens and permanent resident workers in the cleaning, security and landscaping sectors. The PWM was recommended for the cleaning and security sectors in 2014, and the landscaping sector in the following year. So, what has the PWM done for these low-income workers? A recently completed Honours Thesis by one of us (Mr Ler) addresses this question. The key challenge in this research, as with any evaluation of government policy, is causal inference. A simplistic approach would compare earnings and employment of cleaning, landscape, and security workers before and after the policy. However, such an evaluation might be confounded by other changes that took place at the same time. 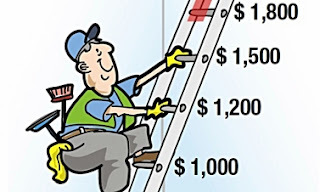 For instance, the rise in wages could be attributed to macro-economic expansion, recommendations of the National Wages Council, or general changes in government policy. A more robust approach would be to apply a difference-in-differences analysis. This method compares the earnings of the targeted workers ("treatment group") with the earnings of other low-wage workers ("control group") before and after the PWM came into effect. The earnings of the control group would account for extraneous factors such as macro-economic expansion and general government policy. The difference in the change in the earnings between the treatment and control groups can then be attributed to the PWM with greater confidence. As a transport reporter covering cycling and its growing popularity, I often looked to Europe for examples of what a car-lite Singapore could look like - I wondered if it would end up like Amsterdam or Copenhagen with spacious underground parking and speedy highways for bicycles. But as things are turning out, there is no need to look that far. These days where cycling is concerned, Singapore is shaping up to be more like Beijing and other Chinese cities, thanks to dock-less shared bicycles that are now a sight on almost every street corner. These shared bicycles, which can be rented by using a mobile phone, locked and returned at any location, were first popularised in China and brought here by such Chinese companies as Mobike and ofo. Now, the ubiquity of these bicycles and their ease of use have meant that more people have turned to cycling to travel short distances. It is an initiative that has given the Government's push to go car-lite a much needed shot in the arm. But due to my own myopia, I was slow to look to China as a source of good urban solutions. Many of my peers and I have for too long held on to an image of China as a land of cheap knock-off goods, low-quality products and poorly behaved nationals. This stereotype is fed by personal encounters with rude and loud tourists and by news stories that shine a spotlight on all things wrong with China - from tainted food scandals to sickening levels of air pollution. But to view China through such a lens is to miss the bigger picture since the reality of this huge nation of almost 1.4 billion people is far more complex. A communist state powered by a capitalist economy, China has in the last 40 years performed a miracle of epic proportions by lifting 700 million people out of poverty; and it continues to change and develop at a rapid pace. Yes, some 40 years ago, when China first embarked on economic reform and opening up, it learnt from countries such as Singapore; but now the roles are starting to be reversed. Foreigners visiting bustling Chinese metropolises like Beijing and Shanghai are surprised by how far they have pushed ahead. A hike in the goods and services tax (GST), the first move to do so in 10 years, was confirmed yesterday in a Budget that laid the ground for challenges ahead, even as a surplus of $9.6 billion was declared that made a "hongbao" cash payout possible. 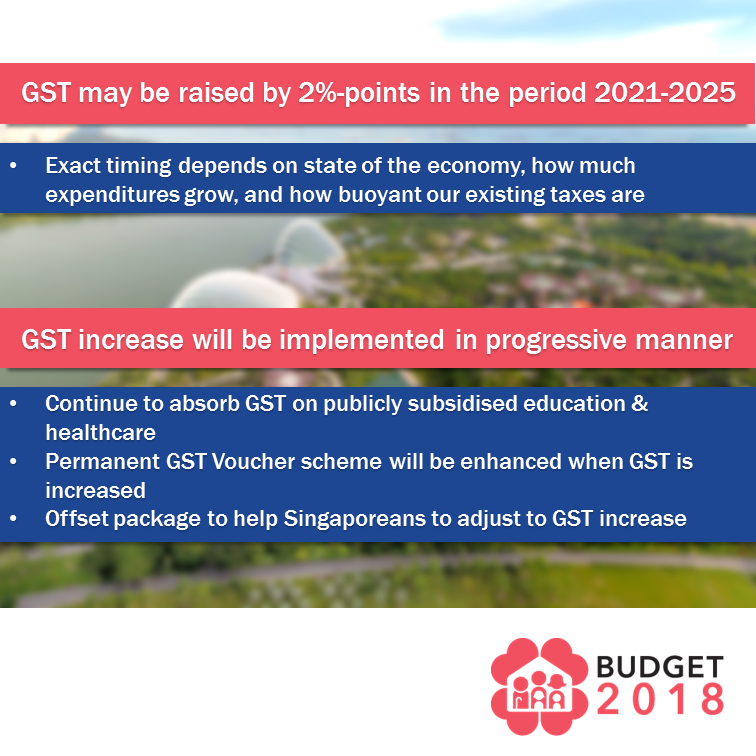 GST will rise from 7 per cent to 9 per cent, but it will take effect only some time from 2021 to 2025, depending "on the state of the economy, how much our expenditures grow and how buoyant our existing taxes are", Finance Minister Heng Swee Keat said yesterday. To cushion the impact on the elderly and those with lower incomes, the permanent GST Voucher scheme will get a $2 billion boost this year. There will also be an offset package to help people adjust to the increase. Mr Heng said a gap remained even after exploring ways to manage future expenditure, such as through being prudent, saving and borrowing for infrastructure, and the GST hike is vital in closing it. Other revenue-raising measures announced in Mr Heng's Budget statement in Parliament were a one percentage point increase from today in the top marginal stamp duty on residential property, a 10 per cent rise in tobacco excise duty with effect from yesterday and a carbon tax first announced last year that will kick off at $5 per tonne of greenhouse gas emissions from 2019. GST will be also charged on imported services, such as video and music streaming over the Internet and consultancy and marketing services, from 2020. These tax measures come as Mr Heng said the 2017 Budget is ending the year with a revised surplus of nearly $10 billion - a jump from the forecast $1.9 billion. But he said this was lifted by one-off items, including unexpectedly high statutory board contributions and increased stamp duty takings as the property market picked up. 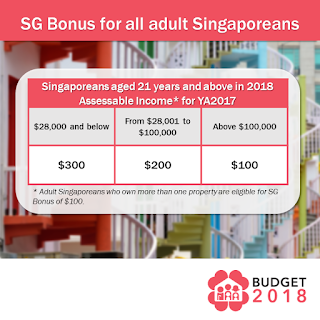 Of this, $700 million will be shared with Singaporeans through a one-off SG Bonus for all those aged 21 and above. Each person will get $100 to $300, depending on income. But some of it will be saved to pay for big-ticket items, including $5 billion for a Rail Infrastructure Fund and $2 billion for premium subsidies and other support when the ElderShield review is complete. He urged caution in depending on such exceptional factors for long-term fiscal planning. 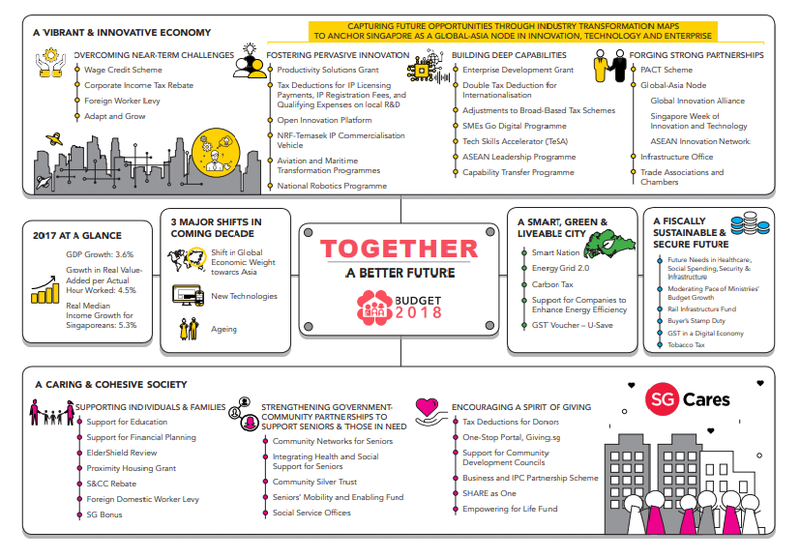 While the "positive near-term outlook shows that the hard work of employers, workers and the Government is paying off" - economic growth and productivity improved, boosting the real median income of Singaporeans by 5.3 per cent - Mr Heng explained that his Budget is a "strategic and integrated plan" to ensure a fiscally sustainable and secure future for Singapore. There were three major shifts to prepare for: a shift in geopolitical economic weight towards Asia after Brexit, and tax and trade changes by the United States; the emergence of new technologies; and Singapore's ageing population. All three would interact to affect Singapore profoundly, he added. 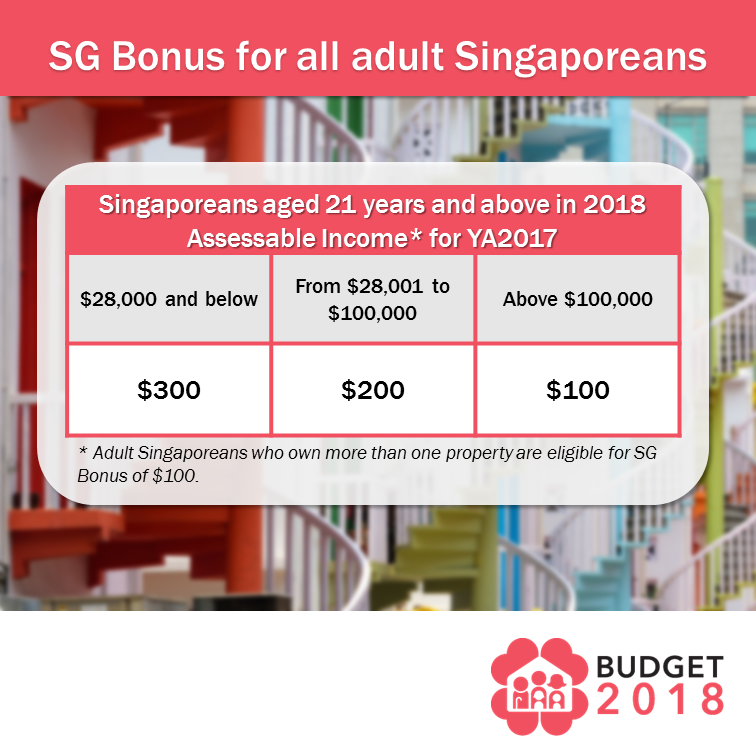 To prepare for these shifts, measures announced continued on the work of previous Budgets to position Singapore for the future. There were schemes to move businesses and workers up the value chain to anchor Singapore as a Global-Asia node of technology, innovation and enterprise; projects to improve the living environment; and increased support for charity to foster a caring, cohesive society. Undergirding these efforts is the need to keep finances sustainable for the long term, said Mr Heng. To help meet the inevitable rise in public spending, especially in healthcare, infrastructure, security and education, there was a need to act now rather than later, he said. Indeed, on the increase in GST, he noted: "I expect that we will need to do so earlier rather than later." This is expected to add 0.7 per cent of GDP a year to government coffers, which works out to more than $3 billion in today's dollars. For the upcoming financial year, a slight deficit of $0.6 billion, or 0.1 per cent of GDP, is expected amid a Budget that Mr Heng described as expansionary. Ministries' total spending is forecast to rise 8.3 per cent from the 2017 financial year to $80 billion, for example. To put future Budgets on a sound footing, the Government is studying plans for statutory boards and government-owned companies to borrow for critical national infrastructure projects, and will consider providing guarantees for some of these borrowings. This will mean committing part of the reserves to back the loans, and will require the assent of President Halimah Yacob and the Council of Presidential Advisers. Mr Heng said: "This is another way to use the strength of our reserves to back our infrastructure projects without directly drawing on the reserves." The move will spread the cost of such investments over more years, and ensure the financial burden is distributed equitably between current and future generations. Prime Minister Lee Hsien Loong has highlighted two key themes that he wants Singaporeans to reflect on amid the Chinese New Year festivities - and which he indicated would feature in the 2018 Budget to be unveiled on Monday. 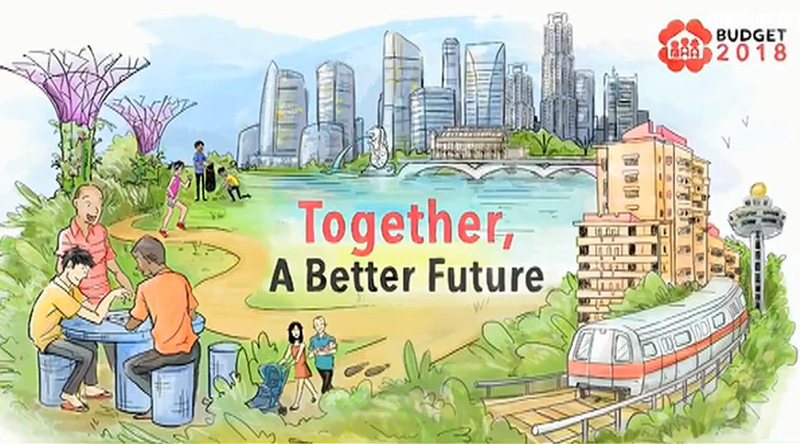 First, as the population ages, Singapore will need to create strong social support and community networks for seniors, keep them socially engaged, and build up healthcare systems and services. Second, it will help the young "uncover their diverse talents", including by spending heavily on education and training. In his annual Chinese New Year message, PM Lee said that these issues "guide the thinking" behind the Budget, which Finance Minister Heng Swee Keat will be announcing after the holiday weekend. 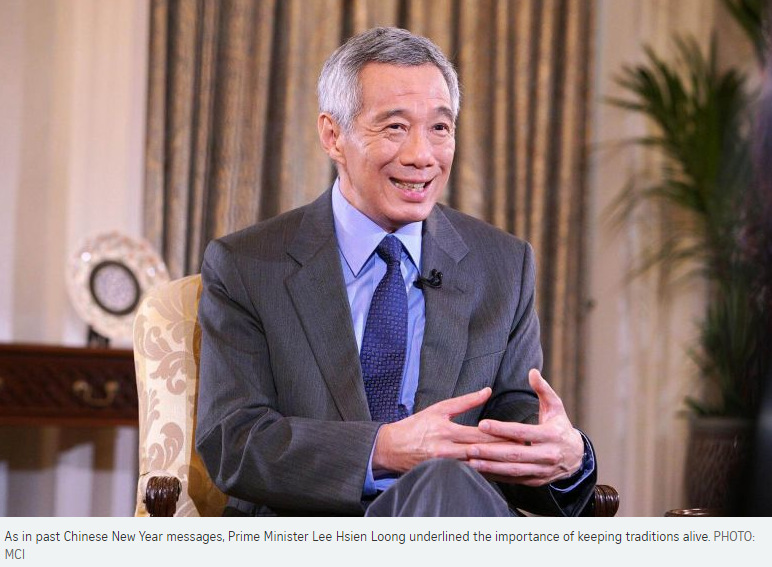 PM Lee urged Singaporeans to reflect on them in the quieter moments of the festive season. "The Government too will not stop thinking about what it needs to do to ready our society for these challenges," he said. As in past Chinese New Year messages, PM Lee underlined the importance of keeping traditions alive. "We stay up through the night to see the year in for our parents' longevity, and give our children red packets for good fortune," he said, referring to the Chinese belief that staying awake for the night will add years to the lives of one's parents. "These customs reflect the enduring hopes of every generation, that our ageing parents live well in their silver years, and our children grow up happy and successful, in a peaceful and prosperous world." These are values and attitudes not limited to individual families; they hold society together as well, he said. "As a people too, we should look after the elderly, as we are the beneficiaries of their labours, and care for the young, who carry our hopes for the future." And even as Singaporeans care for their elderly parents, they need to look ahead and provide for their own silver years, he added. Demographers have calculated that by 2030, one in four Singaporeans would be 65 and older. PM Lee then called on Singaporeans to make full use of new technologies to get ahead, and with Asia rising, "to seize the many economic opportunities around us". The Government, meanwhile, will invest heavily in the young through education and training. "We will help our young to uncover their diverse talents... so that when they grow up, they can strike out on their own, build their own families and careers, and fulfil their aspirations and dreams," he said, returning to the theme of family that often resonates in his Chinese New Year messages. Efforts will also be in place to build the city and infrastructure "so that the next generation can continue to create new possibilities, prosper and flourish". 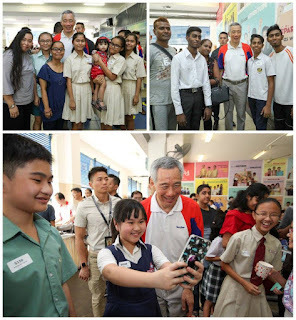 In what could be a hint of tax policies to come, PM Lee also called on Singaporeans to uphold the time-tested Asian values of thrift, self-reliance and leaving something more for the children, rather than burdening them with their parents' debts. "We must always think beyond the immediate and beyond ourselves, to look and plan over the horizon on behalf of future generations," he said. He added: "As we usher in the Year of the Dog, let us be dogged in our efforts to create a better Singapore and a brighter future for our children." PM Lee wished Singaporeans a Happy Chinese New Year. More than 100 training programmes, a clutch of Cabinet ministers putting their heads together, two major policies, SkillsFuture and Adapt and Grow. No effort is spared in trying to train workers and redesign jobs for the future economy. Insight asks: Will they work? It is one of the biggest helping hands to enable workers to retrain, as disruption plays havoc with job security. SkillsFuture, introduced four years ago, is one of the key components of a new national emphasis on learning as a way of life, regardless of age or education. Yet, momentous as this strategy shift has been, as is sometimes the way in policymaking, it came about in quite an uneventful way. In 2014, the Applied Study in Polytechnics and ITE Review Committee was set up to look into improving career prospects for students from these institutions. Around the same time, a group of public servants was working on the Continuing Education and Training Masterplan 2020, focused on people already in the workforce. The two reviews came to the same conclusion: There must be a stronger, sustained link between education and employment if workers need to update their skills over and over again to adapt to the wave of changes brought by technology and globalisation. Mr Ng Cher Pong, the man now charged with coordinating the SkillsFuture initiative as chief executive of SkillsFuture Singapore (SSG), tells Insight: "It was more an evolution rather than a certain 'aha' moment, where you say, 'Hey, actually this is what we should do'." Fast forward to today, and jobs are being created and made redundant so quickly that it has become a difficult task to form major policies for training and retraining workers, and designing jobs for them. Questions coming thick and fast include: What is the speed and impact of technological change on work? What jobs will be gone in 20 years? What skills do people need to succeed at work? The answers are not always clear. Crystal ball-gazing is a fraught process, especially when trying to predict what kinds of jobs will be around in the next five years, let alone 20. With frequent disruptions to the economy, the famed Singapore style of long-term policymaking does not work as before. Another hurdle is persuading workers that they need to reskill when they are busy working and have not lost their jobs. Companies, too, have been slow to respond to the call for training, fearing that their investments may benefit someone else when workers do not stay long enough in a job. Unlike, say, infrastructure policies where outcomes are literally concrete, when it comes to getting people ready for the new world of work, the best-laid plans can produce nebulous results. Still, the Government is betting that major policies such as SkillsFuture and Adapt and Grow will adequately prepare Singaporeans and Singapore for the future economy. Insight asks: Will they work? SkillsFuture Singapore (SSG) said yesterday that it is aware of scammers who have been going door to door asking Singaporeans to sign up for courses using their SkillsFuture Credit. These individuals claim that the credit will expire and tell residents that they will not be eligible for subsequent top-ups. In a Facebook post yesterday, SSG said that these claims are false. 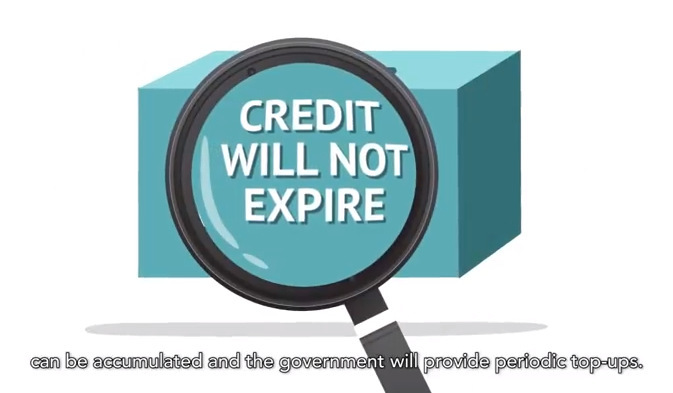 The agency clarified that there is no expiry date for the SkillsFuture Credit and it can be used for any course in the training exchange in myskillsfuture.sg. In addition, all training providers have to follow strict marketing guidelines. For instance, they are not allowed to use gimmicks, such as lucky draws and freebies, to promote their programmes, or use misleading marketing techniques. "SSG takes this very seriously and will not hesitate to act against those who contravene our guidelines and terms on the use of SkillsFuture Credit," the post said. The SkillsFuture initiative was previously hit by a series of scams involving false claims. Last December, it was reported that SSG was cheated of nearly $40 million - the biggest case of a government agency being defrauded here. Those who have feedback on suspicious SkillsFuture-related practices can contact SSG on 6785-5785 or at ssg.gov.sg/feedback. Singapore's politics will turn vicious, its society will fracture and the country will wither if it allows widening income inequalities to create "a rigid and stratified social system", said Prime Minister Lee Hsien Loong. "The issues of mitigating income inequality, ensuring social mobility and enhancing social integration are critical," he wrote in a reply to a parliamentary question from Mr Gan Thiam Poh (Ang Mo Kio GRC). "This is why this Government will strive to keep all Singaporeans - regardless of race, language, religion or social background - together." Mr Gan asked Mr Lee about the current state of income inequality and whether the Government has plans to prevent this income gap from creating divisions along class lines. He also queried if an inter-ministerial committee can be set up to look into better integration of all social classes in Singapore. To the last, Mr Lee said a specific committee is not necessary as government ministries already seek to tackle these challenges in "a concerted and coordinated effort". "As globalisation and technological disruption have widened income inequality, the Government has over the years intervened more aggressively to support the less well-off," he said, citing both long-term policies such as education, home ownership and affordable healthcare, as well as targeted, means-tested programmes such as the Workfare Income Supplement scheme. Mr Gan's questions come after an Institute of Policy Studies report last December, which concluded that Singapore's sharpest divides now are along class lines, rather than race or religion. It found that people were more likely to share ties with others of a similar educational background or housing type - common indicators of socio-economic level here. "If what the study is saying is true, then it is timely that it is detected and we should (strive) to resolve the gaps before they widen too far," Mr Gan told The Straits Times. In recent weeks, the issue gained renewed attention. Deputy Prime Minister Tharman Shanmugaratnam named slowing social mobility, and an ageing population, as the two big challenges that Singapore faces. Last week, a new book, This Is What Inequality Looks Like by sociologist Teo You Yenn, was launched, generating debate about how Singapore's competitive education system could perpetuate class differences. In his reply to Mr Gan, Mr Lee said income inequality in Singapore has declined slightly over the past decade. The Gini coefficient fell from 0.470 in 2006 to 0.458 in 2016 - and the figure was 0.402, after accounting for government taxes and transfers. A value of zero indicates perfect equality, while a value of one suggests maximum inequality. To fund increased social spending, "significant changes" have been made, from introducing GST in 1994 to increasing the reliance on Net Investment Return Contributions as a source of revenue, he noted. In terms of social mobility, every citizen in a fair and just society must have the opportunity to do better and move up in society based on his efforts and talent, said Mr Lee. "Some degree of income inequality is natural in any economy," he said. "But in a fair and just society, this inequality must be tempered and complemented by social mobility. Nobody should feel that his social position is fixed based on his parents' income level or position in life." Education is a critical plank of the Government's efforts, he stressed, whether in building up pre-schools and having schemes like KidStart for children from poor families or giving out bursaries and getting people to go for training via SkillsFuture. Meanwhile, the Government takes a "deliberate and proactive approach" to measures that encourage mixing among classes, such as in planning where facilities like hawker centres and playgrounds should be sited. Only two of the nine locations in eastern Singapore that suffered flash floods on Jan 8 had a history of flooding, Minister for the Environment and Water Resources Masagos Zulkifli said yesterday. 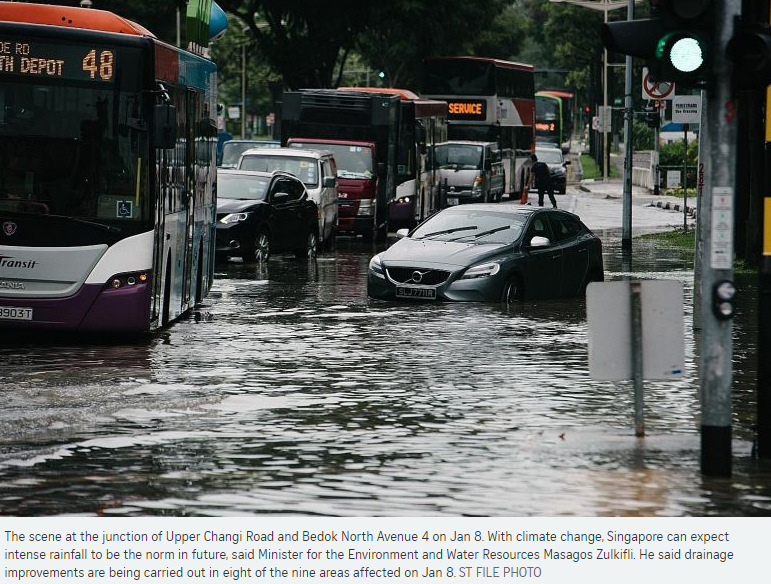 He also said that with climate change, Singapore can expect intense rainfall to be the norm in future. This means flash floods could occur in areas with no record of flooding. But he cautioned that it was not feasible to build and expand drains to accommodate every extreme rainfall event, as that would be very costly and require setting aside large tracts of land. For instance, Bedok Canal is being widened at a cost of $128 million and the space can accommodate a 10-lane expressway. Mr Masagos made these points in Parliament to five MPs, including Mr Murali Pillai (Bukit Batok) and Non-Constituency MP Dennis Tan, who had asked about the floods. 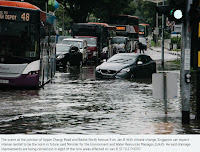 On Jan 8, the nine places were inundated with rain - the heaviest recorded total rainfall that morning was 118.8mm, half of Singapore's average rainfall for January - with submerged cars, flooded bus cabins and some businesses being disrupted. Although eight of them are low-lying and susceptible to flash floods, only two had a history of flooding. They are Tampines Road, opposite Jalan Teliti, and Arumugam Road in the Ubi area. Between 2015 and this year, five flash floods took place in Tampines Road and three in Arumugam Road. "The flash floods were caused by the intense rainfall temporarily exceeding the existing design capacity of the drains," Mr Masagos said. "Although the flood waters affected only certain stretches of the roads, and subsided within 15 to 60 minutes, we acknowledge that members of the public were inconvenienced and a number of cars had stalled," he added. Every year, since 1980, heavy rain has been pouring down more often. Also, the annual maximum hourly rainfall has risen. It was about 80mm in 1980 and 90mm in 2016. It has led the Government to invest in drainage infrastructure. 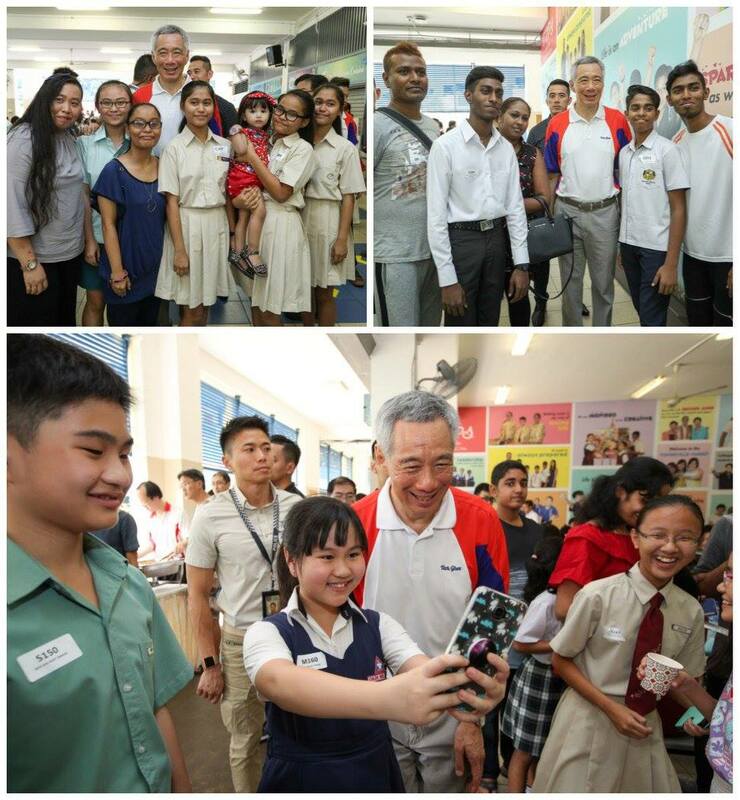 Singapore's second integrated community hub opened in Bedok yesterday, bringing a sports centre, public library, community club, polyclinic and senior care centre under one roof. Heartbeat@Bedok, which occupies a site roughly the size of three football fields, also has more than 30 retailers, including eateries. 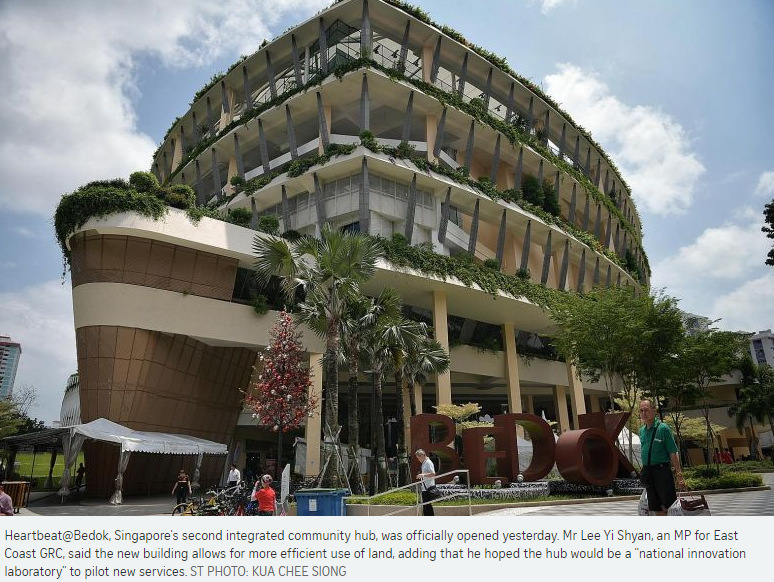 Noting that residents' lifestyles and needs have changed since Bedok Town was built more than 40 years ago, Mr Lee Yi Shyan, an MP for East Coast GRC, said the new building allows for more efficient use of land, and for the different agencies there to provide joint programmes. "The land freed up by relocating amenities would make room for new housing and new parks," he said, before the building was officially opened by Prime Minister Lee Hsien Loong yesterday. "In a mature town like Bedok, we are hard-pressed to find any open space to build new flats for young families," he added. About a third of the floor area of Our Tampines Hub, which opened last year, Heartbeat@Bedok houses the ActiveSG East Bedok Sports Centre, Bedok Public Library, Kampong Chai Chee Community Club, Bedok Polyclinic and a senior care centre. Mr Lee Yi Shyan said he hoped the hub would be a "national innovation laboratory" to pilot new services, such as telemedicine and the pairing of workout data with health statistics to track individuals' rehabilitation progress. For a start, various agencies there have rolled out an initiative called Heartbeat Cares to reach out to seniors and their families. Under this initiative, residents may be referred to the Active Health Lab - by Sport Singapore and its healthcare partners - to develop a personalised fitness regime. There are also weekly morning exercise sessions, health screenings, talks and cooking demonstrations. About 14 per cent of Bedok Town's 290,000 or so residents are aged 65 and above. Whatever happened to Singapore's Long Island Project? A natural reaction to that would be, "What Long Island Project?" Over time, it has become largely forgotten. But decades ago, urban planners envisioned building an island using reclaimed land off East Coast Park for recreation and with beautiful waterfront housing. But this plan - known as the Long Island Project - has since been put aside as there was little demand for it, reveals the Urban Redevelopment Authority's (URA) chief planner, Ms Hwang Yu-Ning, in an interview with Insight. "People love East Coast Park, so do we really want to commit to the plan if we don't need it? Some of these options can be safeguarded for future use," she says. "If we need to dust off these plans later on, we would have already studied the idea." The decision underscores the changing and complex nature of infrastructure planning. It is hard to say when is the right time to build ahead of demand, says Ms Hwang. There is a risk that the demand for a project may never come, if plans proceed too quickly. Even so, Singapore has bet big in the past - and seen those bold gambles pay off in a big way. 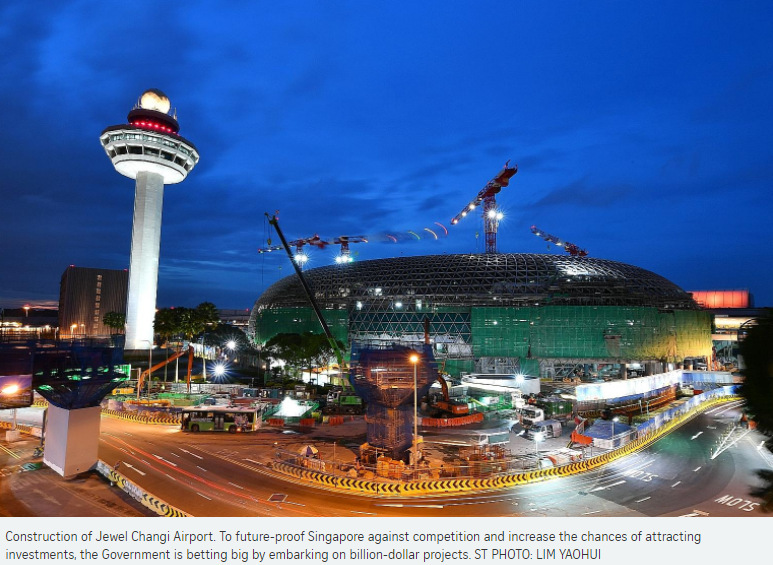 National Development Minister Lawrence Wong, in his interview with Insight, cites several examples - moving the airport from Paya Lebar to Changi, which made Singapore an aviation centre; building the region's first container port; and converting Jurong from swampland to an industrial estate. Infrastructure has always been a key part of Singapore's economic strategy, says Mr Wong, who is also Second Minister for Finance. "We are building for practical needs, to enhance our hub status to attract more investments and create more jobs for Singaporeans." He stresses the importance of being prepared to think big and make decisive moves, instead of just incremental changes. This is because Singapore has to navigate an uncertain global environment and the threat of other countries bypassing the Republic as a regional hub, Mr Wong says. For instance, other countries are building new ports, and new shipping routes are being created. To future-proof Singapore against intensifying competition, the Government is - once more - betting big by embarking on billion-dollar projects such as the upcoming High-Speed Rail between Jurong and Kuala Lumpur, the mega port in Tuas and a fifth airport terminal in Changi. These "big-ticket items" are a key reason why government spending on infrastructure is slated to rise in the coming years. On these mega projects, Mr Wong says: "It's about giving us the best possible chance of attracting investments, remaining a competitive, attractive regional centre, and giving Singapore the best chance of success in an uncertain world." Are you a tray-er or a quitter? That question comes up now and again, and it is one that I tend to ignore because it makes me feel bad about myself and my disgusting tray habits. I suspect you, like me, don't like my impeccable personal hygiene becoming the subject of public debate. 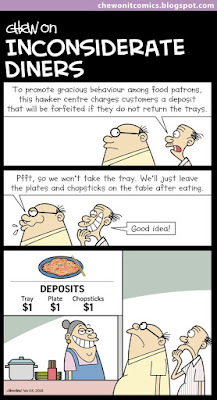 Singaporeans woke up one day a few years ago and were told these things: We are running out of hawker centre cleaners. The centres will become pigsties if we don't pick up after ourselves ("yes, Madam principaaaal," we chant). So there will be tray collection points set up, let's be tray picker-uppers (cue catchy campaign song). The reasoning is absolutely correct, of course. Cleaning up your chicken bones and spilled soup is no one's idea of a dream career, and as backup career plans go, handling stuff that has been in someone's mouth is far, far down the list of last resorts. But it has been tough going. Singaporeans find ways to get around, block, drag their feet and ignore everything that has been tried (it's how most of us get our exercise, actually). So away with the carrots, here comes the stick. Centres at Marsiling Mall and Bukit Merah Central tried the one-dollar-tray-deposit plan. And as in Jurassic Park, nature - or rather, Singapore nature - finds a way, and up to 90 per cent of people decided to go without trays, preferring to leave their bones and tissues on the table - tiny, sad, chewed-up symbols of defiance. 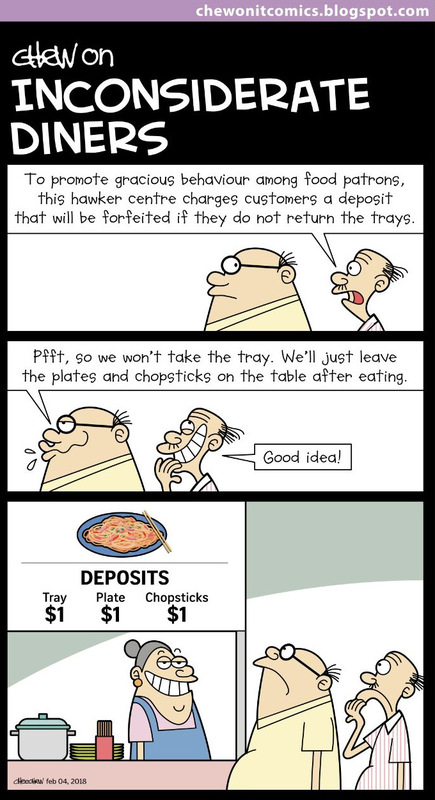 So angry about it are some that there is a Facebook page named Say NO To Tray Return In Singapore with about 650 Likes. It wants to sum up the feelings of the trayer-stayers, which I paraphrase as: I get nothing from doing it. Food prices won't come down anyway. It puts cleaners out of a job. They sort of had me on their side until I read those complaints, which makes trayer-stayers sound a little bit like whiny idiots. And I am not an idiot (despite what my family thinks). If you do things only because you get something out of it, then stop paying taxes, which fund things such as schools outside of your district. Dig a hole and live there with your doomsday cult. And if you want a price cut for every little thing you do to make an operator's life easier, then a) see above, and b) you should be paying nothing, given how much you stop yourself from littering or spitting, or force yourself to act like a normal decent human being. As for the heart-rending plea to think about the jobs of cleaners - well, hats off to you and your kindness, because I'm sure if you lived a few decades ago, you would have fought for the job rights of child shoe-shiners and unlicensed doctors. Wait: Aren't you the same people who shout about the presence of foreign workers on public transport? What do you think they do for a living? Yup, they pick up your nasty chicken bones. A lot of the anti-picker-upper rage comes from the sense of entitlement we have towards cheap, hygienic, tasty food and the furniture on which to eat in comfort. Our hawker centres were a 1960s solution to the issue of street vendor-related garbage and food safety, one that has worked for half a century, but which is running into the realities of the 21st century labour shortage. And by that, I mean nobody wants to clean up after you, even if you offered them more money, which you won't because people want chicken noodles with a Michelin star for $2.50. Earlier last week, I delivered the keynote address at a forum titled Giving Matters, organised by the National Volunteer and Philanthropy Centre. The cross-sector event brought together more than 300 individuals from government, corporates, social enterprises and non-profit organisations to share their experiences and ideas about giving, which includes volunteering and donating. After my speech, some participants shared with me why and how they give as well as their personal experiences in interacting with givers and recipients. Many had mixed feelings and unresolved questions. Is giving rational or emotional? Should we remind people to count their blessings to encourage them to give? How do we motivate volunteers? 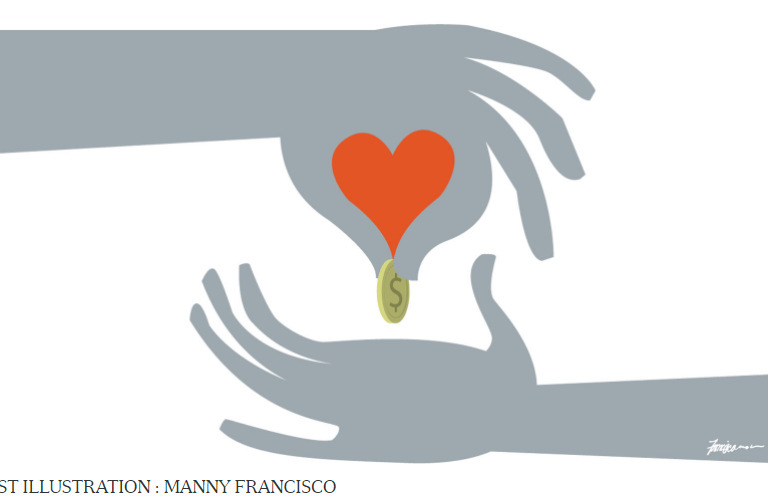 I hope this essay on the psychology of giving will help shed light on the issues raised. As we reflect on what giving means to us personally, the hope is that we are inspired to do more and encourage others as well. We sometimes hear people say they want to volunteer or donate but do not have enough time or money. Yet, across different socio-economic backgrounds, there are people who give a lot of their time, effort or money, and they do so quietly without any tangible rewards or recognition. Clearly, humans are not purely economic beings who spend their lives calculating gains and losses to arrive at decisions. If you believe humans are homo economicus, then you will find this even more puzzling - studies show that we feel good when we give, and better when we give away something precious to us than something we have plenty of or do not need. Behavioural sciences tell us that this is not irrational, the motivation and decision to give genuinely reflect a core aspect of human rationality. The final page was turned on Singapore's most expensive criminal trial, involving a powerful church and its charismatic leader, when a five-judge panel dismissed a bid by the prosecution to reinstate the original convictions for founder-pastor Kong Hee and five others. But the long-running saga over the misuse of millions in church funds is likely to remain in the public eye, with a Cabinet minister set to speak in Parliament about the ruling and the Attorney-General's Chambers (AGC) pledging to work with the Government on revisions to the law. The decision by the Court of Appeal yesterday hinged on whether the six former City Harvest Church (CHC) leaders should have been convicted of simple criminal breach of trust (CBT) or of the more serious form as agents. The court yesterday unanimously ruled that the term "agent" in Section 409 of the Penal Code applies only to someone who is a professional agent, and not to company directors and key officers of charities, such as the six CHC leaders. The judges noted the "strong and urgent impulse" to ensure that persons in positions of responsibility are made to undergo a sentence that reflects the full measure of their harm and culpability. But they added that the courts are ill-suited to undertake a "long overdue" and wide-ranging policy review. Also, the shaping of the remedy for any gap in law should be left to Parliament, said Judge of Appeal Andrew Phang, in reading the decision reached by him, Judge of Appeal Judith Prakash, and Justices Belinda Ang, Quentin Loh and Chua Lee Ming. "A hard case should not be allowed to make bad law," said Justice Phang, noting that the accused are "not getting away unpunished" and face substantial jail terms. The AGC said yesterday it would work with relevant government ministries "on the appropriate revisions to the Penal Code, to ensure that company directors and other persons in similar positions of trust and responsibility are subject to appropriate punishments if they commit criminal breach of trust". Home Affairs and Law Minister K. Shanmugam said in a Facebook post he would make a ministerial statement on the Government's position. "This is a serious matter," he said. 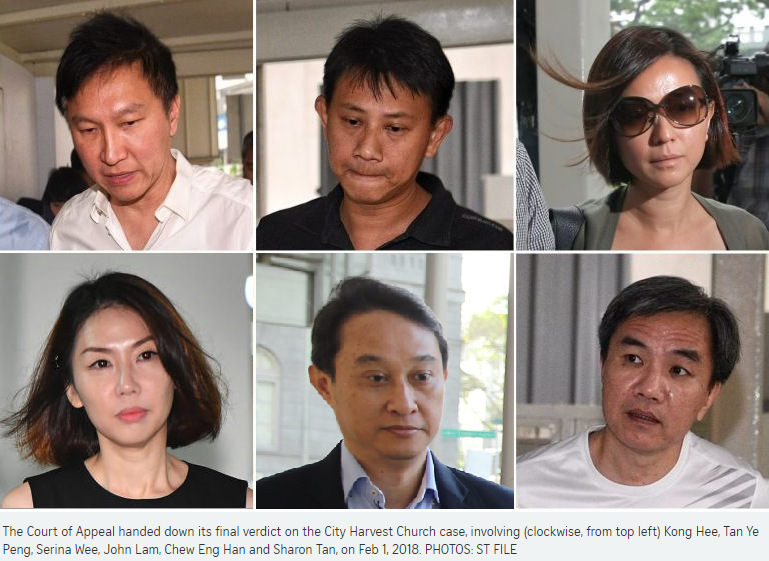 The decision meant Kong, 53; deputy senior pastor Tan Ye Peng, 45; former finance manager Serina Wee, 41; and former finance committee member John Lam, 50, will continue their current reduced jail terms of between 1½ and 3½ years, which they began serving in April last year. Former finance manager Sharon Tan, 42, has completed her seven-month jail term while former fund manager Chew Eng Han, 57, has secured a new deferment for his jail term of three years and four months till after Chinese New Year. Kong received the longest jail term among them, which was reduced from eight years after the High Court cleared the six of CBT as agents and convicted them of plain CBT under Section 406. In a bid to spread the gospel through Kong's singer-wife Sun Ho's secular music career, the former leaders had misappropriated $24 million in CHC's building funds through sham bond investments. They also misused another $26 million to cover up the initial crime. The court hearing yesterday, which was held following the rarely invoked criminal reference application by the AGC, ends a legal marathon that will be remembered as the costliest ever here, with estimates of costs reaching $15 million. Senior Counsel Edwin Tong, Kong's lawyer, said the pastor was relieved at the decision, looking forward to finishing his jail sentence and "getting on with his life". Earlier this month, Monetary Authority of Singapore managing director Ravi Menon made an insightful presentation on the links between three critical issues facing Singapore: ageing, immigration and productivity. Speaking at the Institute of Policy Studies' Singapore Perspectives conference, he noted that Singapore's working age population - residents aged 15-64 - will start to decline from 2020. Since economic growth is the sum of the growth of the labour force and productivity, if Singapore freezes immigration and is not able to increase fertility beyond the replacement rate, productivity will be the only source of growth. 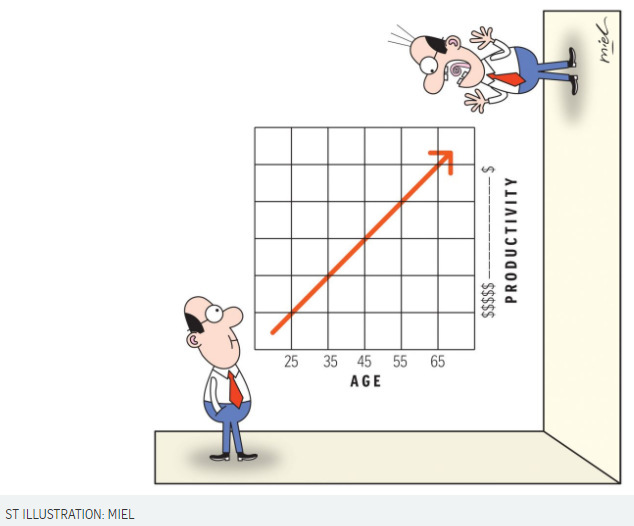 So if productivity grows at 1.5 per cent - the average of the last seven years -the economy will also grow at 1.5 per cent. That would be a problem; it would seriously limit increases in wages and improvements in living standards. If we don't want immigration, we can, in theory, mitigate the problem by raising the total fertility rate and the labour force participation rate - the percentage of workers in the workforce. But even if we succeed in raising the fertility rate from the current level of 1.2 (children per woman, on average) to the replacement rate of 2.1 over the next 15 years - a challenging target - it won't have much of an impact on the growth of the workforce or gross domestic product (GDP) until 2040 because, as Mr Menon noted, "it will take time for the extra babies born in the next 15 years to start entering the labour force". The key to raising the labour force participation rate is to encourage more women to work. World Bank data shows that while Singapore's overall labour force participation rate, at 68 per cent, is higher than the average for high-income countries (60 per cent), there is a 17 percentage point gap between the participation rates of men (77 per cent) and women (60 per cent). In most other high-income countries, the gap ranges from 9 to 12 percentage points. If Singapore can narrow the gap to 11 percentage points by 2035, it will help, but not by much. 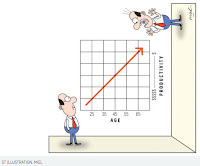 The labour force would expand by only 2 per cent by 2035. Given these constraints to expanding our workforce, Mr Menon pointed out that Singapore must "allow a certain rate of net immigration". It must also be flexible in its immigration policies, responding to economic cycles, changing circumstances and opportunities. He concluded that Singapore needs to reframe the question on foreign workers. "It is not about how many foreign workers industry wants or society can afford to have," he said, "but what number and kind of foreign workers we need to maximise the job and wage opportunities for Singaporeans. Foreign workers must be a complement to the local workforce." Many of the issues raised by Mr Menon are worth exploring further. Here are some interesting findings from economic research.